MARQUETTE AND THE Upper Peninsula will be the stars of a new cable network TV show scheduled to air this fall. AmericanaVista, a two year old network with 825,000 subscribers, has announced it will air “Yooperz!,” a weekly one hour sitcom featuring the antics of a lovable but dysfunctional family living in Marquette. Marvin is an out-of-work miner with a fondness for beer and power-saws. His wife Dixie works at a diner and is constantly struggling with her weight but still dreams of making it big in Hollywood. Also featured in the sitcom are their two children, 19 year old Trudy and 10 year old Toby. Trudy’s pregnant with an earnest but dimwitted boyfriend. Toby’s an avid but not particularly skilled hockey player who’s always getting in fights. In addition, the Moilanens have a deaf, eight-year-old pit bull named Butch that barks at any and everything, and is constantly soiling the inside of their home. Izmore says he and Peece, the director, along with Chuck Staike, who plays Marvin Moilanen, visited Marquette for three days back in December to get a good sense of the community and to shoot some exteriors. The sitcom has the Moilanens living in a mobile home on the outskirts of town and driving a 1998 Ford Explorer which is out of commission half the time, according to Izmore. Instead, Marvin devotes his idle time to tuning up and polishing their two antique snowmobiles. Michigan Film Association executive director Rosie Cheakes says “Yooperz!” is going to be a major win for the film industry in Michigan, and especially the UP. 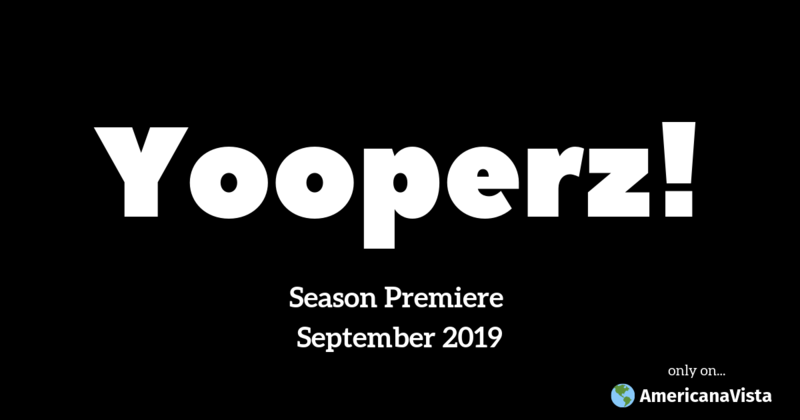 “Yooperz!” debuts on AmericanaVista on Sunday, September 31st, 9 pm.